Could the senseless shooting of this young Columbus man have been prevented? 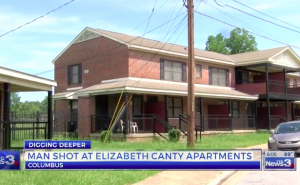 Security measures are in question after a shooting at the Elizabeth Canty Apartments left 19-year-old Tobias Ross critically injured Tuesday, June 6, 2018, per News 3 reports. Concerned residents told WTVM, “shootings happen all too often in the complex.” There was apparently additional recent shootings at the complex, according to the report. The WTVM investigation reveals a 12-year-old boy was shot and injured in March 2018 and a 25-year-old man was shot in July 2017. Was negligent security a factor in this senseless Columbus apartment shooting and could this tragedy have been prevented? Read Our Legal Take below to find out if Mr. Ross may have legal avenues for justice and claims for substantial compensation in Georgia. Apartment residents and guests have a right to feel safe and secure while on the premises. The Murray Law Firm questions the level of security provided at the subject property and whether this shooting may have been prevented. What additional security measures, such as gated entry, bright lighting, surveillance cameras, and security patrols, were implemented by the apartment complex owner to deter crime and protect residents following media reports of prior criminal activity on property? By law, property owners in Georgia are required to protect all those legally on the premises from any foreseeable harm. Should the facts of this matter reveal that the apartment complex owner or management failed to provide adequate security, Tobias Ross may seek justice and elect to pursue legal claims for his injuries.